Learning how to see the bright side in any situation is valuable Law of Attraction skill. After all, it’s easy to be positive when things are going well. It’s easy to keep a high vibration flowing when times are good. But, what do you do when you are hit with some less-than-favorable news? How can you see the bright side in life’s negative moment? These are excellent questions. So today, I will share some thoughts on how to see the bright side of a negative situation. There are other ways this can be done of course, but this is one of my favorites. As usual, I sincerely hope you find today’s LOA video useful. If you have any questions or comments please feel free to leave them for me below. I always enjoy reading and responding to your thoughts. 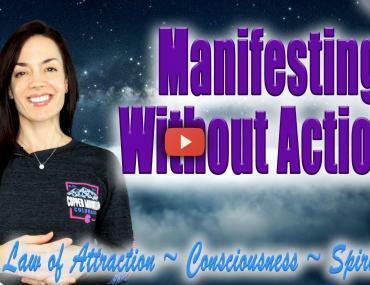 Please remember to subscribe below for my free weekly quick Law of Attraction content. And finally, remember to check out the info about my member’s portal using the link below. Thanks for following and supporting my work!